Many years ago I first saw the film An American in Paris and was immediately captivated by the opening scene in which Gene Kelly wakes up in his tiny apartment, hoists his bed up to the ceiling and deftly produces a chair and table from seemingly nowhere. The magic of everything needed being within easy reach has always fascinated me; but the thinking behind The New Joneses Tiny House (recently on display as part of the Whitehorse Seniors Festival) goes much further than that. The brain behind The New Joneses is Tamara DiMattina, whose trip to Antarctica in 2010 led to her discovering and seeing for herself the effect we humans are having on our planet. She decided she wanted to do something about it, and determined to use her background in communications to create campaigns that could help people understand we can all be part of the solution. Her first project was “Buy Nothing New Month” (which continues to be promoted each October) encouraging people to take a step back and only buy what is needed; not all the extras we are told we need. “The New Joneses was the obvious extension of that project,” says Tamara. “The idea came from looking at how (in every way) we are wasteful; how we are not being smart with our resources and can do so much better – and wanting to provide an easy way for people to follow a better path”. The concept of “smart houses” has been has been going for the past five years and featured a different style of house every year – popping up mostly in the city. One year featured the world’s first carbon-positive house – one that generates more energy than it uses. Another was the most energy-efficient prefab house. “(For 2017) I worked with a builder to create a ‘tiny house’ to show people how you can live happily in a much smaller space,” Tamara explained. “Obviously not everyone’s going to live in a tiny house; it’s just a conversation starter, that small is beautiful, rather than the whole idea that big is better. We don’t sell tiny houses; rather we’re promoting the idea of a light footprint. The tiny house is a vehicle to get that message around”. As you can see from the pictures, many ways of living ecologically responsibly are part of the Tiny House display. 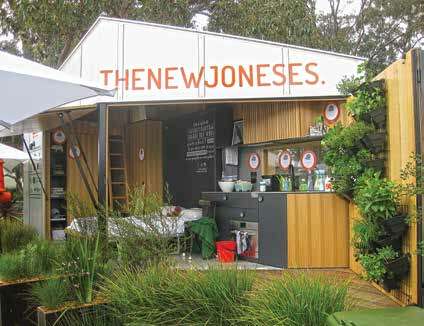 If you missed seeing the Tiny House this year, fear not: the New Joneses will be back in 2018 at the Sustainable Living Festival in Federation Square in February (dates yet to be confirmed), and at the HIA (Housing Industry Association) Home Show at the Exhibition Centre on 5 to 8 April. Keep your eye out for further appearances at local council exhibitions. 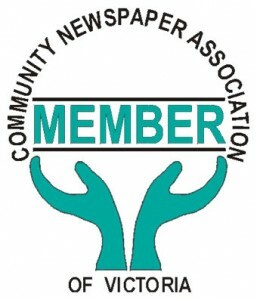 Information can be obtained from thenewjoneses.com and all are invited to sign up for tips and updates.